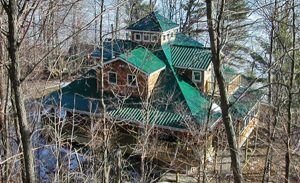 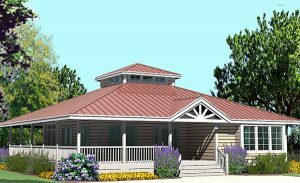 Our selection of house plans with Wrap Around Porches are designed to enable you to enjoy the outdoor views and breezes. 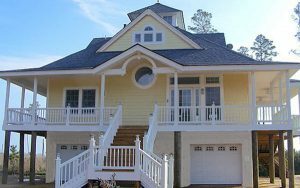 Wrap Around Porches are a great asset to a house because they extend the living space to the exterior, they shelter and protect the windows and doors from water damage and they shade the exterior walls and windows reducing heat gain and thereby reducing energy costs. 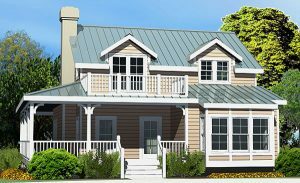 You can also screen-in a portion of the porch for pleasent outdoor dining. 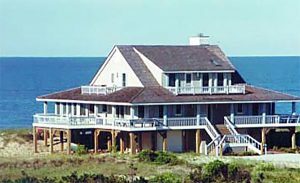 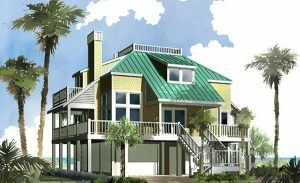 This beach house plan was designed in the tradition of the Nags Head Vernacular of the Outer Banks of the North Carolina Coast. 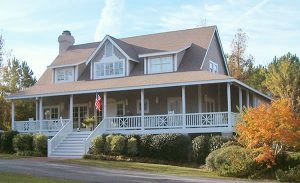 The Plantation Cottage draws upon the southern, coastal, low country vernacular and features large, wrap-around porches and a full basement.